the keypad has good feeling, soft but sensitive enough. so does the joystick. the screen is not that sweet since its a 65,000color, i would say 1.3mp n 65000 colors shouldnt go together but well compare to the price its wellfair. speaker is not as loud as i expect, the sound recorder is not clear either. design is clean and perfectly fit in hand. a good phone to start with and i recommend to who;s looking something affordable but yet cool! Dose any one know if the K310 has a LED INDICATOR light? I want to get a good phone.But I'm trying to reduce my budget.I found out that k500/508 isn't any much different comparing to k300i.the difference is the screen,the data speed and the phonebook memory.Does that make a big difference.What's the difference between k500/508's camera comparing to k300i?is k300i good and is it worth that price?some body please tell me what are the difference between k300i and k508/500?which phone's better...k300i or n3220?thanks! Can games and applications be installed though a connection to a PC or they have to be downloaded from WAP sites? 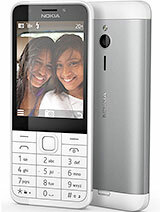 can this phone send a mms to the nokia phones such as nokia 6881? sony ercisson k300i is very great phone i have all the opetions what i need and it's has a good price 2 i luv this sweet phone !! Im about to buy this phone and i cant wait as it is great value and has everything other phones have for about half the price. i no it wont let me down as my brother has had a z600 for 2 years and it still works perfectly. i just got this phone,and its my first S.E,i really luv it,but the infra red has been acting up,sometimes it works and sometimes it doesnt how do i rectify this problem,pls some1 help,email me. I'm about to buy this, I've read other owners' opinions and am sure this phone won't let me down. It looks the coolest of the lot, great design, great specs, I especially like the square display. Can't wait to get it. I'm getting the one with the blue cover. howlong doesthis phone record videos and please emailmeabout it. Total of 1616 user reviews and opinions for Sony Ericsson K300.